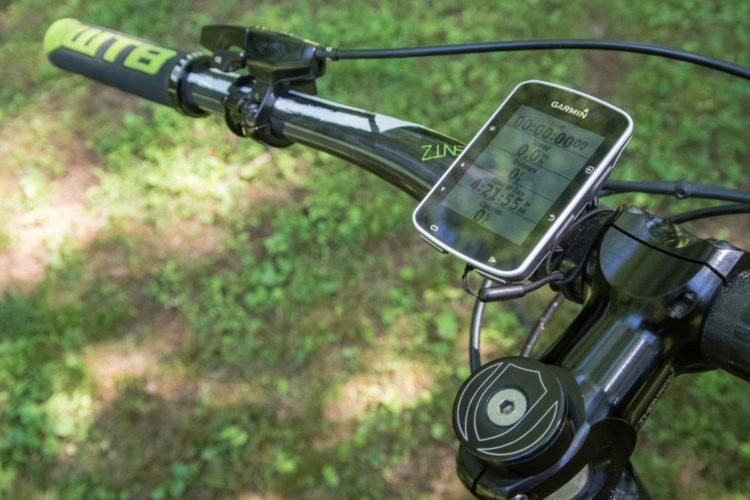 Most trail bikes today feature wide handlebars paired with short stems, which somewhat limits your mounting options for things like a GPS unit. I personally ran into this problem on my Kona Process 153. With a 50mm long, square-shaped stem, there wasn’t enough room to use a stock Garmin mount up top. Mounting it to the bars presented its own problems. The Garmin was either so close to the stem I couldn’t use the buttons on one side, or I could move it outboard, but then it would flop up and down due to the decreasing diameter of the bar. 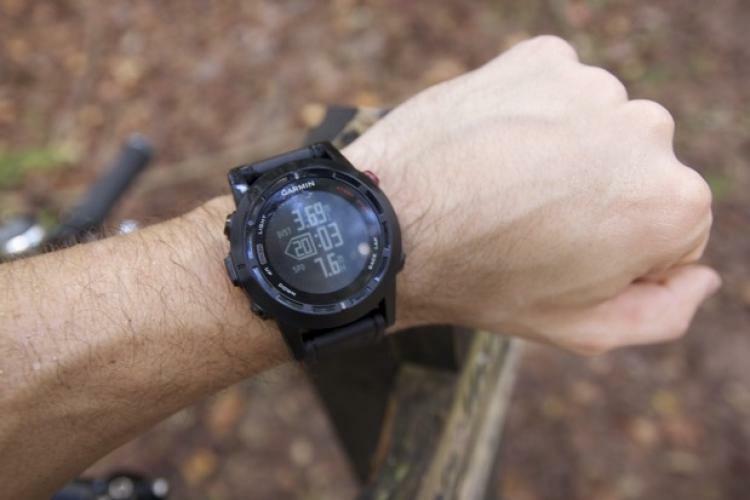 After coming across K-Edge’s Gravity Top Cap mount, I reached out to them for a review unit. They obliged and sent along the Top Cap mount as well as their Adjustable Stem mount for us to check out. 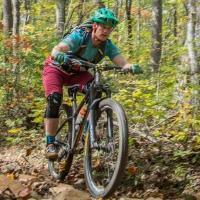 K-Edge’s headquarters is located in Boise, Idaho, just a short pedal from miles upon miles of singletrack. All of their products are designed, prototyped, and manufactured in their facility in Boise. Raw aluminum comes in, and finished products are shipped out. But making GPS mounts and chain catchers wasn’t their first endeavor into CNC’d products by any means though. Their parent company, AceCo Precision, makes cutting tools for the wood industry. These aren’t the kind of tools you’d find in the casual carpenter’s workshop; industrial-sized wood shops use AceCo tools to plane material or to join pieces. They earned a reputation for their unmatched quality and attention to detail, something they carried over to the K-Edge brand. With that engineering-heavy background, it’s no wonder that K-Edge goes around looking for problems to solve. Their first product, launched in 2008, was the aforementioned chain catcher, a rather simple arc of aluminum designed to keep your chain from falling off the chainring. K-Edge then turned their attention to various computer, light, and camera mounts, improving upon the stock options available. 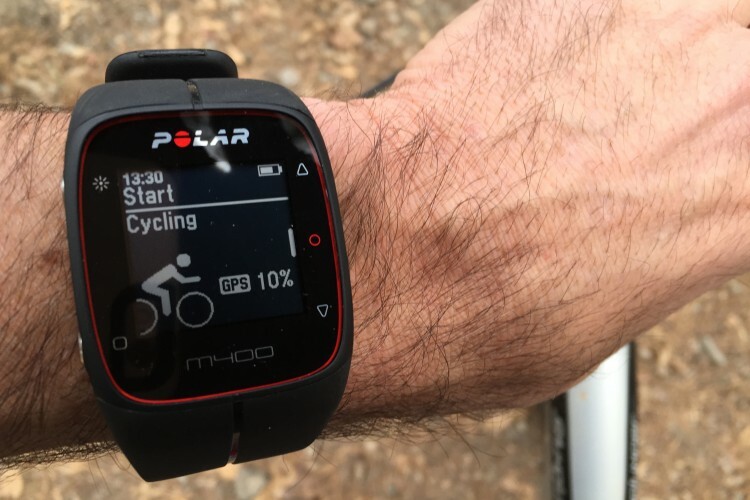 Both mounts I tested are for Garmin quarter-turn-style GPS units. The Gravity Top Cap mount takes the place of your headset’s top cap. 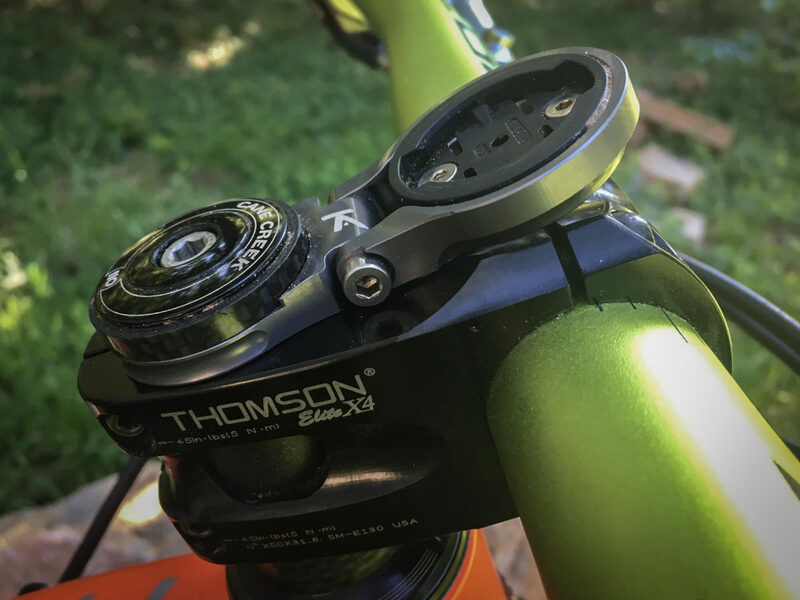 The Adjustable Stem mount takes the place of a 5mm headset spacer, allowing you to adjust the angle of your screen via a single bolt. Weights are 18g for the Gravity and 21g for the Adjustable. The mounts come in one of four colors and cost $25 for the Gravity and $40 for the Adjustable. Installation for the Adjustable mount was straightforward. Remove your top cap along with a spacer and pop on the mount. All that’s left to do is adjust the angle to your liking. The Gravity mount was a little more involved since it essentially replaces your current top cap. 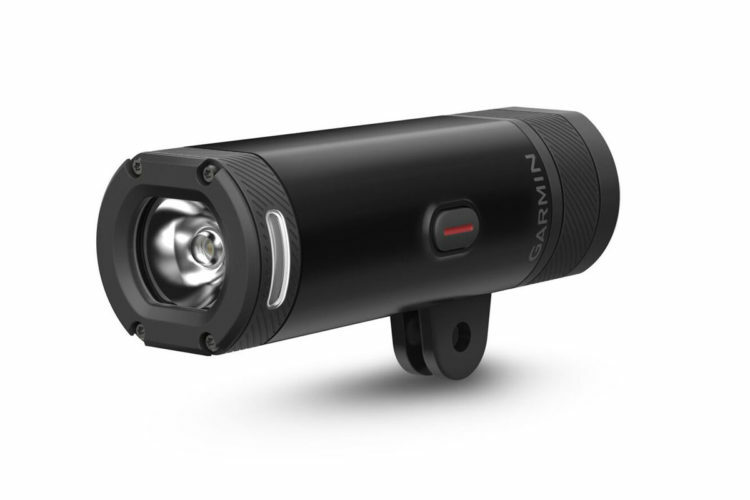 Your Garmin actually snaps into a replaceable plastic insert inside the mounts; the insert will break in the event of a crash so your GPS doesn’t. Replacement inserts sell for $5 from K-Edge. 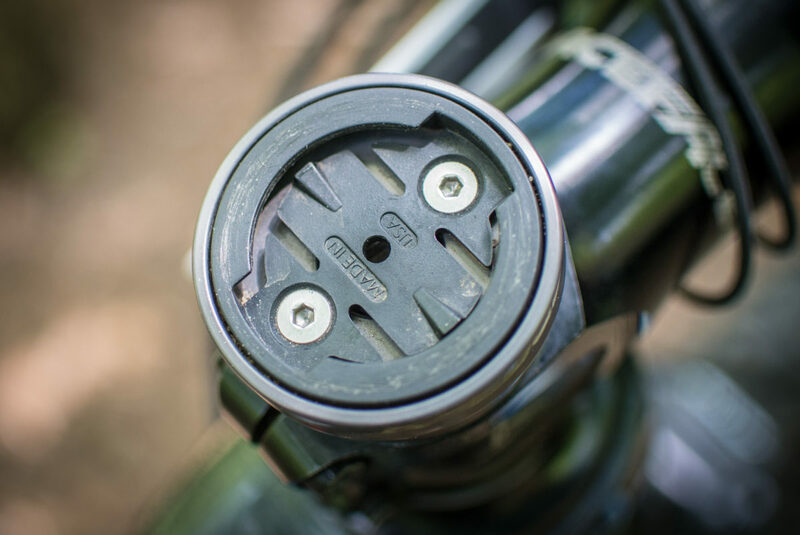 With the Gravity mount, you must remove the insert first to access the larger bolt underneath. That larger bolt is how you adjust the preload for your headset. All of this is simple enough, but there was some trial and error to get the insert aligned so that when my Garmin was installed it was perfectly straight. Once the position was dialed, there was no need to futz with the mounts further. 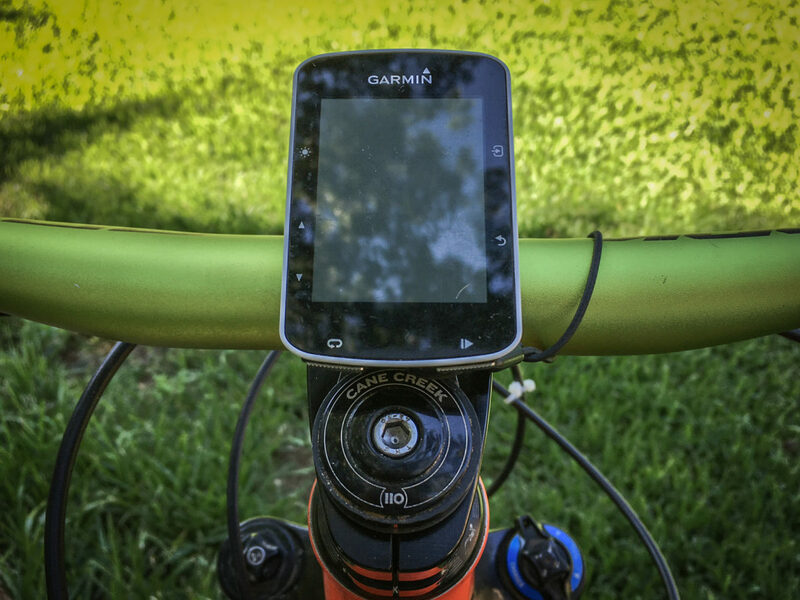 My Garmin snapped satisfyingly into place each ride and remained rock-solid no matter the terrain. There’s no slop, no jiggles, no wiggles. I’ve had more than my fair share of crashes this year, but none directly on my Garmin, thankfully. My particular Garmin came with an elastic tether which I always employ just in case things go sideways. I’d recommend adding one to your GPS if at all possible. 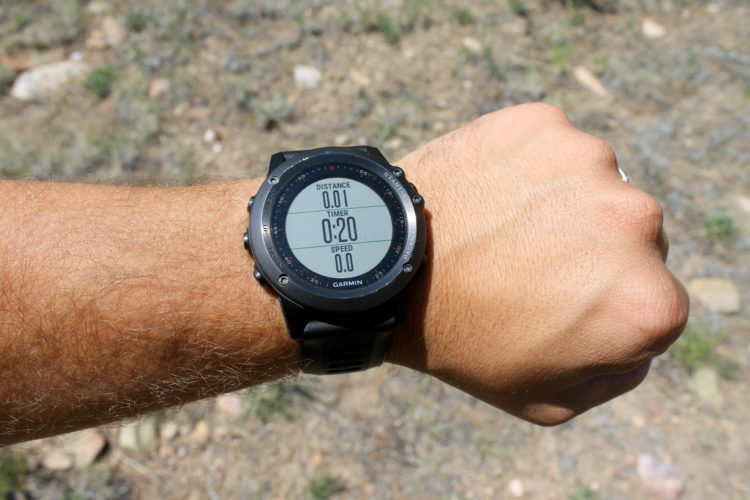 Should you crash and the plastic insert breaks as it’s designed to, your GPS make take advantage of its newfound freedom. The tether assures it won’t get too far. 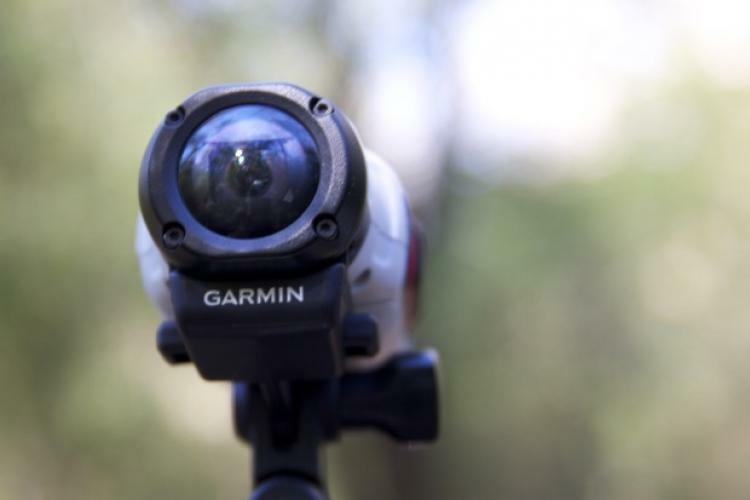 K-Edge’s products provide simple, elegant solutions for mounting your Garmin (along with other brands of GPS). Whether you’re looking to address a specific issue as I was, or you just want to add a little extra flair to your bike, they deliver. 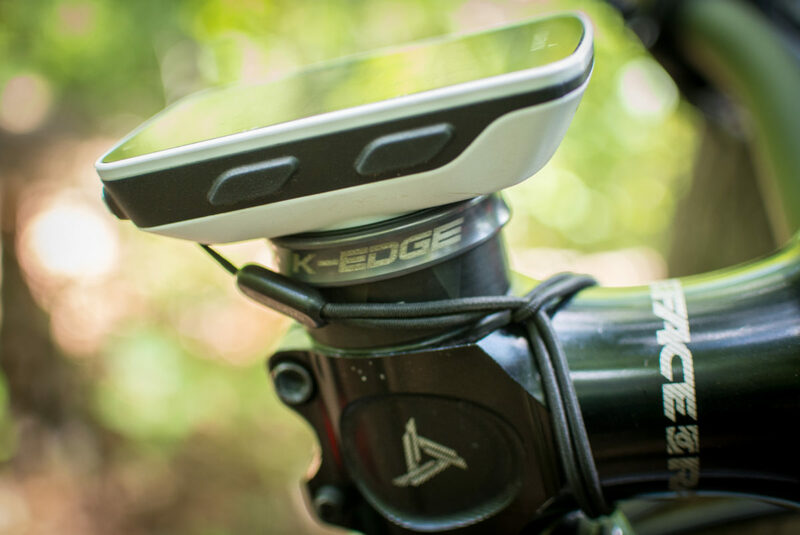 K-Edge mounts may cost slightly more than some offered by Garmin, but they are a marked improvement. 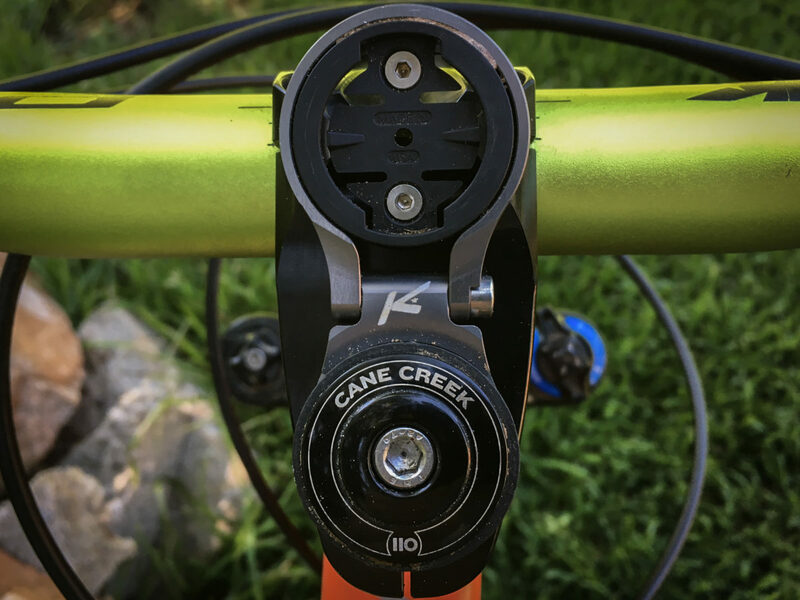 Since the mounts are CNC’d out of 6061 aluminum, they can follow you from bike to bike for years to come. Thanks to K-Edge for providing their mounts for review.